It was announced at a press conference in Glasgow this morning (5 June 2014) that an application is being lodged to overturn the conviction of Abdelbaset Ali Mohmed al-Megrahi for the bombing of Pan Am Flight 103 over Lockerbie. 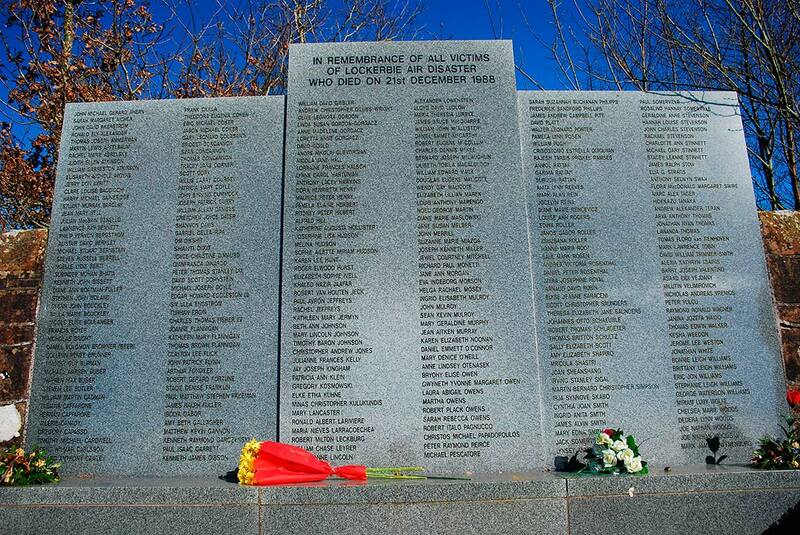 When Pan Am Flight 103 exploded over Lockerbie on 21 December 1988, 270 people from 21 countries perished and it remains the worst terrorist atrocity ever committed in the UK. Its consequences continue to reverberate round the world and yet after a quarter of a century, the truth remains elusive. The application being lodged later this morning with the Scottish Criminal Cases Review Commission (SCCRC) seeks to overturn the conviction of Abdelbaset Ali Mohmed al-Megrahi for murder. Dr Jim Swire, Rev’d John F Mosey and 22 other British relatives of passengers who died on board Pan Am Flight 103. I can also advise that the six immediate family members of the late Abdelbaset al-Megrahi have also instructed me to make the application. The Commission has been requested not to release the names of the Megrahi family given serious concerns for their safety in the current highly volatile situation in Libya. British family members apart from Dr Jim Swire and Rev John F. Mosey have also requested that their details are not released into the public domain. The Commission determined on the 28th June 2007 that Abdelbaset al-Megrahi may have suffered a miscarriage of justice in relation to his conviction and identified six grounds for referring the case to the High Court. We have asked the Commission to reconfirm these six grounds. On the ground of the Crown’s non-disclosure to the defence of evidence relating to the difference in metallurgical composition between the fragment of circuit board PT35b and the circuit boards in the timers supplied by MEBO to Libya. Put simply the timer claimed by the Crown to be responsible for the bombing cannot be possible. On the ground of the evidence uncovered which demonstrates that the bomb suitcase was already in Pan Am 103 luggage container AVE4041 before the feeder flight from Frankfurt arrived at Heathrow with, as the Crown contended and the trial court accepted, a suitcase from Malta which contained the bomb. Despite the hysteria that greeted the release of Mr al-Megrahi many were unaware that the case had been referred back to the Court of Appeal by the SCCRC in 2007. "The Commission is of the view, based upon our lengthy investigations, the new evidence we have found and other evidence which was not before the trial court, that the applicant may have suffered a miscarriage of justice." The case of Abdelbasset Al- Megrahi has been described as the worst miscarriage of justice in British legal history. A reversal of the verdict would mean that the governments of the United States and the United Kingdom would stand exposed as having lived a monumental lie for 25 years and having imprisoned a man they knew to be innocent for ten years. The Appeal was commenced but following the diagnosis of terminal cancer it was suddenly abandoned in 2009. The application being lodged this morning deals with the circumstances that lead to Mr Megrahi abandoning his appeal. To date both the British Government and Scottish Government have claimed that they played no role in pressuring Mr Megrahi into dropping his appeal as a condition of his immediate release. However the evidence submitted to the Commission today claims that this is fundamentally untrue. It is submitted that there is evidence which will show that it was impossible for Megrahi to have bought clothes that were found in the wreckage of the Pan Am aircraft. Mr Megrahi was convicted on the word of a Maltese shop owner who claimed to have sold him the clothes, then gave a false description of him in multiple statements and failed to recognise him in the courtroom. New evidence claims that the fragment of a circuit board and bomb timer, "discovered" in the Scottish countryside could not have been responsible for the bombing. New evidence claims the impossibility of the bomb beginning its journey in Malta before it was ‘transferred’ through two airports undetected to Pan Am Flight 103. There is a multitude of serious question marks over material evidence, and most worryingly, allegations of the Crown’s non-disclosure of evidence which could have been key to the defence. The fundamental question for the Commission is whether it regards it as in the interests of justice to refer a case back to the High Court where the convicted person himself had commenced an appeal on a SCCRC reference and then chosen to abandon it? The answer might depend on the precise circumstances in which the appellant came to abandon his appeal. Mr Megrahi's terminal illness; the fact that prisoner transfer was not open while the appeal was ongoing; and whether Mr Megrahi had no way of knowing that Kenny MacAskill would ultimately opt for compassionate release rather than prisoner transfer, or as is alleged that he was led to believe that he would not be released unless he dropped his appeal. Documents have claimed that Scottish police officers and FBI agents had discussed as early as September 1989 ‘an offer of unlimited money to the Maltese shop keeper Tony Gauci. If it is unacceptable to offer bribes, inducements or rewards to any witness in a routine murder trial in Glasgow then it should have been unacceptable to have done it in the biggest case of mass murder ever carried out in Europe. Gauci was central to Megrahi’s conviction because the clothes recovered from the suitcase that carried the bomb onto Pan Am 103 at Heathrow, bound for New York, were traced back to his shop. Various reports have claimed that Tony Gauci received more than $2m and his brother more than $1m in reward money. It is important to note that this is the first time in legal history in the UK that relatives of murdered victims have united with the relatives of a ‘convicted’ deceased to seek justice by means of a referral to the Appeal Court. Fine words indeed but the reputation of the Scottish criminal justice system has suffered badly both at home and internationally because of widespread doubts about the justifiability of the conviction of Mr Al-Megrahi. It is in the interests of justice and of restoring confidence in our criminal justice system and its administration that these doubts be addressed. This can best be done by allowing the Appeal Court to consider the SCCRC's reasons for believing that there may have been a miscarriage of justice in a fresh appeal challenging the original verdict. Megrahi Appeal - What Happens Next?